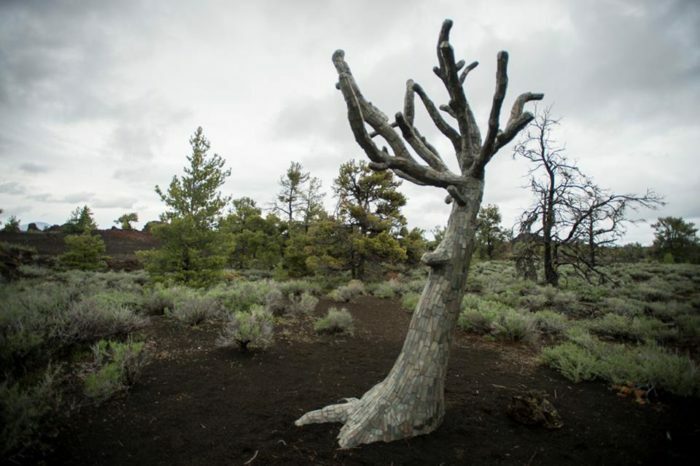 It’s a truly eerie and magnificent slice of Idaho history and geology that echoes with dystopian beauty: Craters of the Moon National Monument and Preserve in South-Central Idaho. 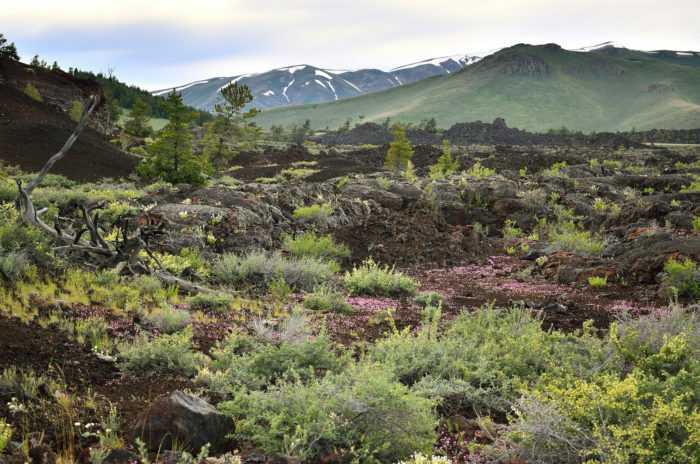 In spring, the volcanic landscape explodes into a surprisingly lush green carpet, riddled with contrasts – colorful, ground-hugging wildflowers nestle themselves against ancient black basalt that tells the story of the monument’s violent formation. Boiling hot surface temps in the summer and the icy chill of earth collide beneath the surface. 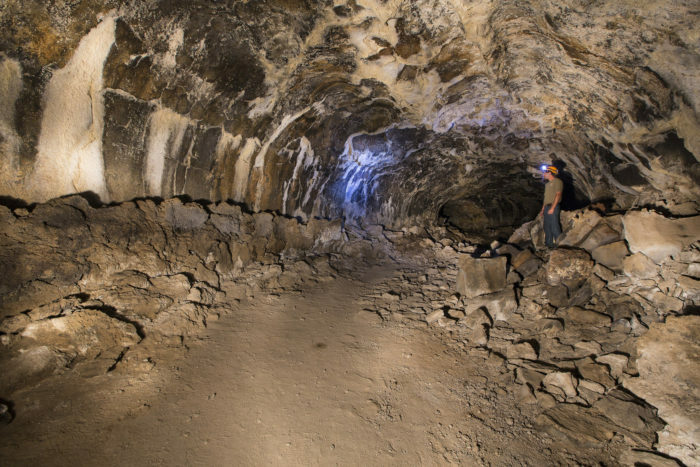 But while many folks come here to see the pocketed craters and rifts or the ghostly tuff cones, or to hike through the still-active remnants of volcanic history, there’s something else truly spectacular weaving its way beneath the surface. 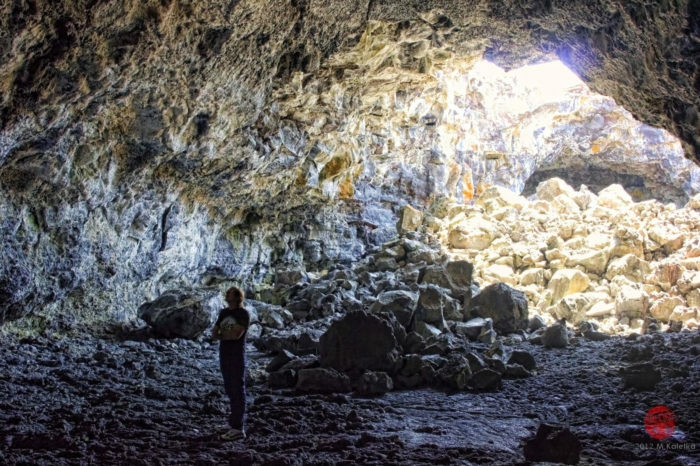 Winding and weaving outwards like a vast black maze, Idaho’s Craters of the Moon National Monument is literally combed with underground caves and passages, bewildering in their size, mystifying in their variety – an endless network formed by the ancient lava flows of eons past. 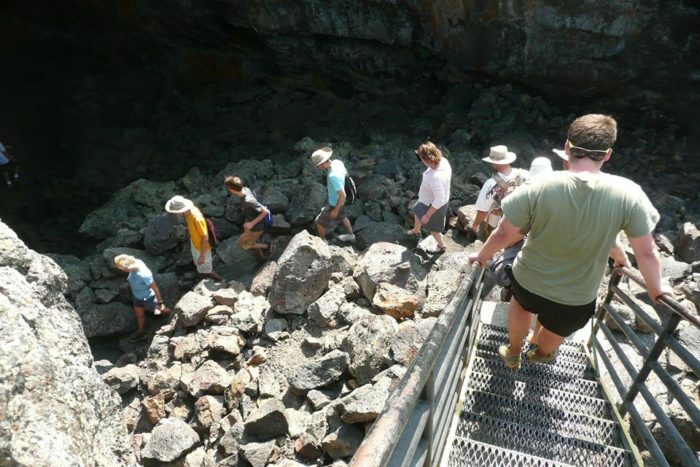 While most of these underground wonders are inaccessible from the surface and unable to be explored by man, Craters of the Moon is also home to a unique Cave Trail that takes visitors to some of the largest lava tubes in the world – and even allows you to walk inside and explore the fantastic underground world that lies beneath the unassuming surface. Ready to explore? 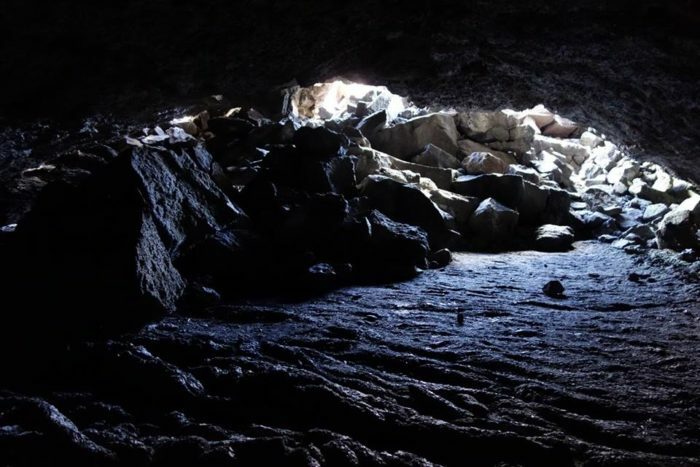 Hiding beneath the otherworldly surface of Craters of the Moon is a magnificent world with thousands of years of history. 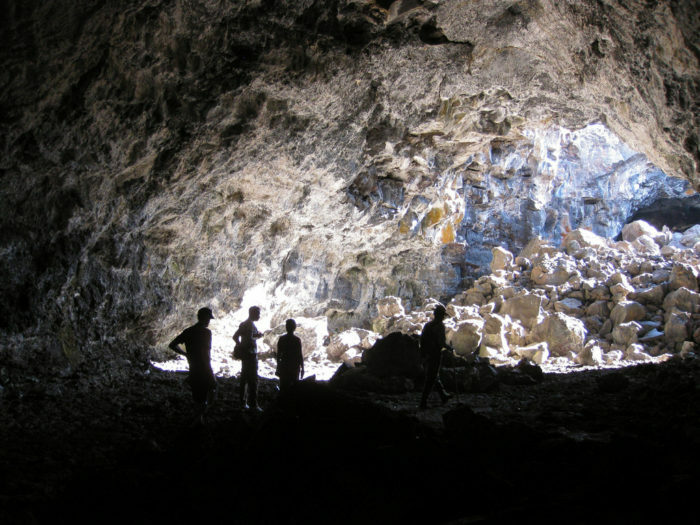 It's a larger than life trail of stunning lava tubes - some of the largest of their kind in the world. 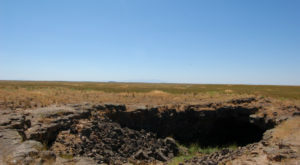 Created thousands of years ago as hot, explosive magma forged its way to the surface, the deep tubes were left behind. Over the years, many of the original tubes have naturally sealed up or collapsed, but others still remain, extending hundreds of feet below the surface of the park - simply inaccessible from aboveground. But greener seasons might just pique your curiosity. 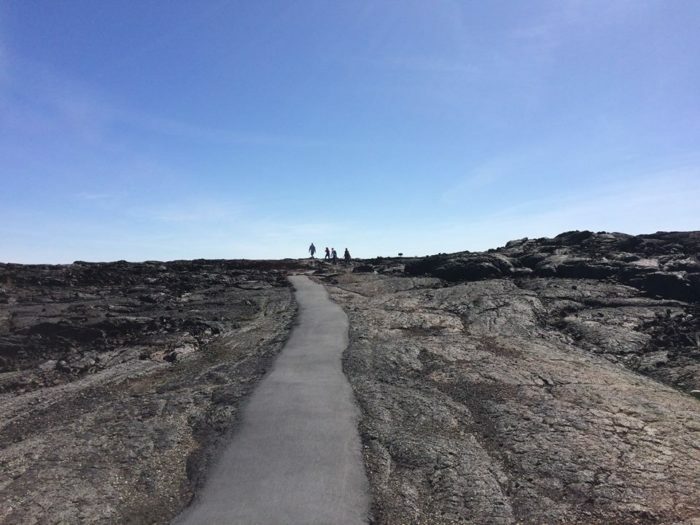 A short half-mile trek across the lava fields above will take visitors to the first cave, weaving through a seemingly barren wasteland of black and grey. Over the course of the your 3.5-mile journey, you'll encounter three main caves; Indian Tunnel, Boy Scout, and Beauty Cave. 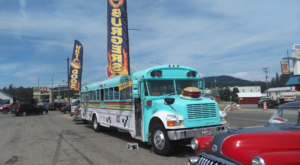 You'll also see Dewdrop and Buffalo caves as well. 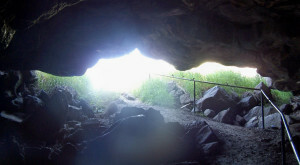 Each cave offers its own distinct personality and challenges. Indian Tunnel is by far the largest, with collapsed portions that allow light filter in. Boy Scout Cave is especially interesting, featuring a small crawl space that forces you to scramble underneath to get out the other side. 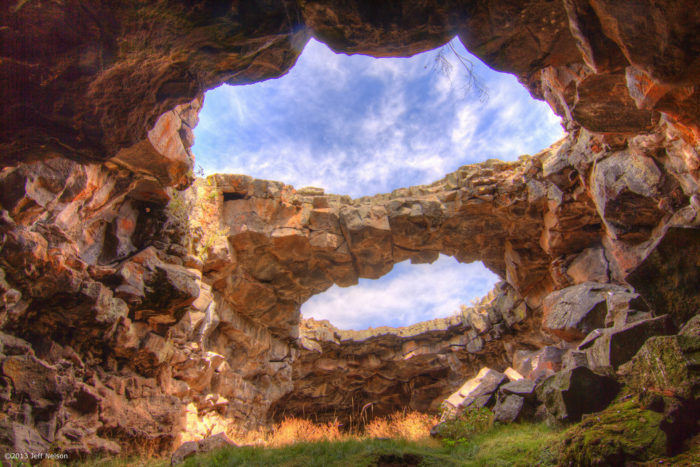 Beauty Cave is a 300-foot long tunnel, accessible via a scramble down a large slope of rocks. 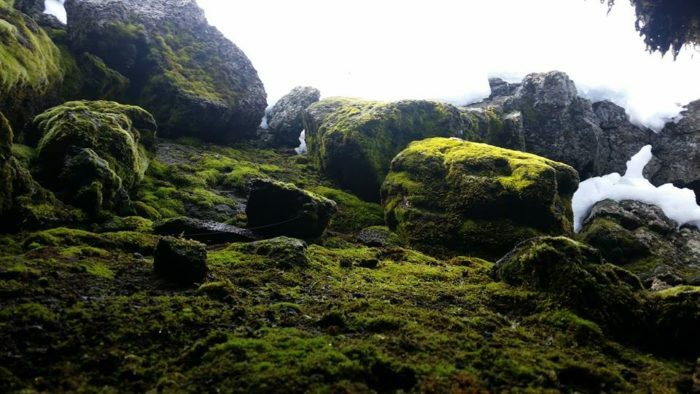 The entrances are barely noticeable from the surface, however, and seem to blend in with the rocky landscape. Once underground, the temperature plummets which can elicit a sigh of relief for summer visitors. 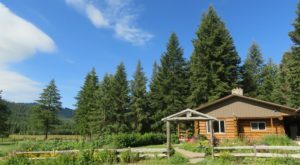 Despite soaring 100-plus degree weather, forged under an unforgiving sun and brutally dark landscape that offers little shade and seems to radiate ten-fold... the crisp 30-40 degree subterranean paradise will take your breath away. Specific temperatures vary depending on the season, of course, but you'll definitely want a jacket! It's a frigid and unexpected world that boasts snow and ice as often as it does moss, rich vegetation, and - of course - bats. 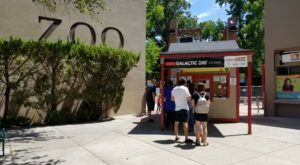 Don't forget: clothes worn in these tunnels must not have been worn on any previous cave visits outside of the monument in the last decade, and especially not any caves east of the Rockies. This is to protect the wildlife that make their homes inside the caves. Below ground, you'll feel dwarfed by the massive caverns in the best way possible. It really brings out an appreciation for the immensity of earth and the power of nature. Just imagine when pioneers and Native Americans used to store their goods here! 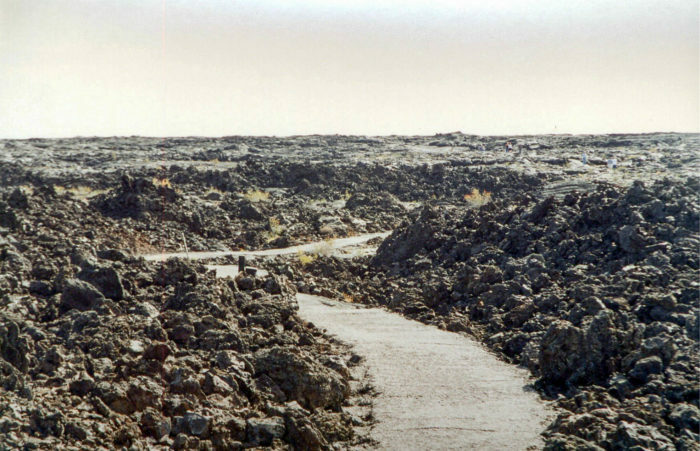 You can learn more about the history of how Craters of the Moon was used by historic peoples when you stop at the Visitors Center. 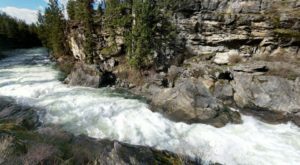 After the guided hike, you'll return to the surface and wonder what other secrets Idaho is hiding beneath its pristine surface. Too many to list in one article, that's for sure. Ethereal and ominous to newbies, this ancient landscape is both dynamic and dramatic. 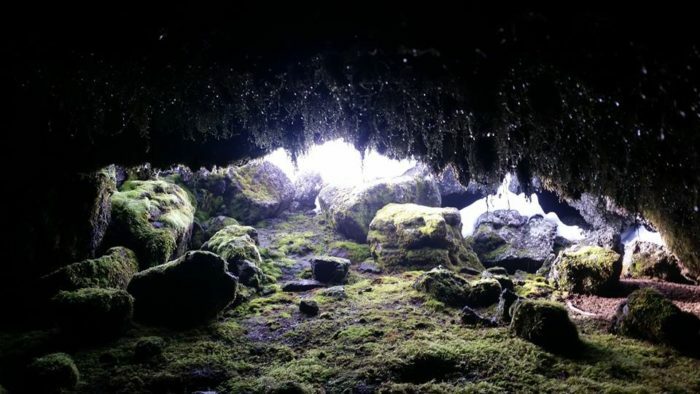 There's so much more to see here than meets the eye - caves included! 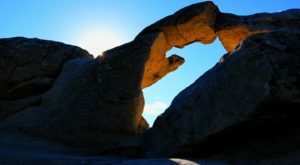 In addition to the guided Cave Trail, visitors drive a 7-mile auto tour loop, hike nature trails where nearly 300 species of animals come as a surprise amongst the stark topography, camp, take wildflower walks in spring, or even snowshoe and cross-country ski in winter. How phenomenal is that?! 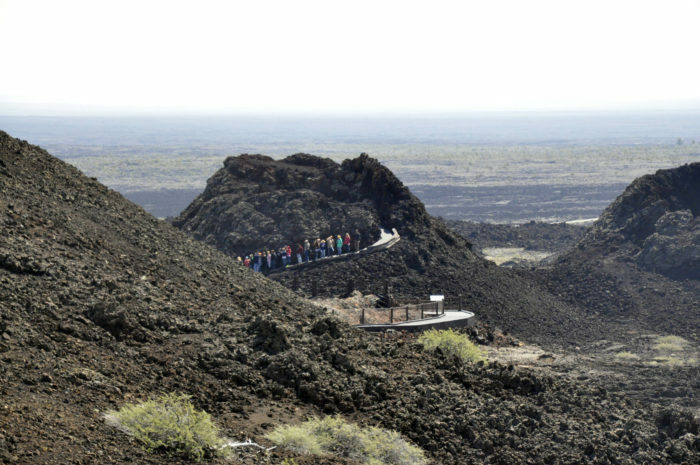 Or, feel free to explore the still-active remains of eons past with a volcano hike (or two). 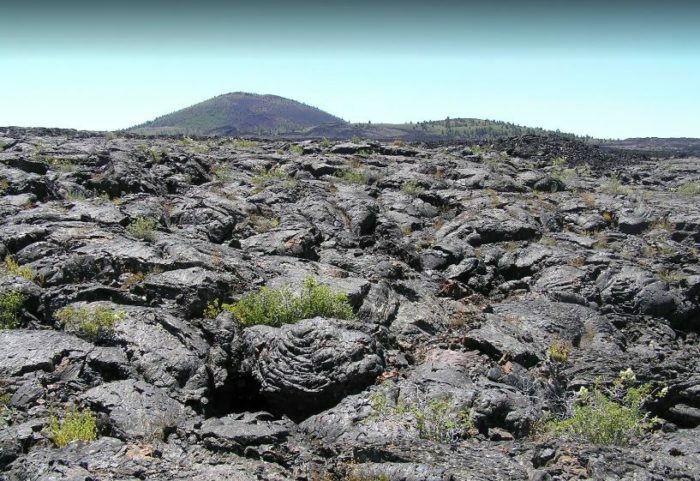 You can read about the national monument's still-active volcanoes here. Or, if you'd like to hike up some nearby volcanic remnants that aren't waiting to explode, check out this hike here. 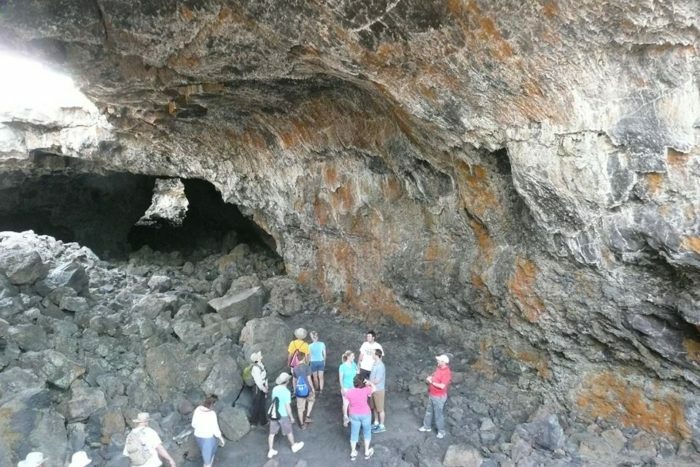 With cave temperatures averaging less than 50 degrees, this hike is the perfect summer activity. 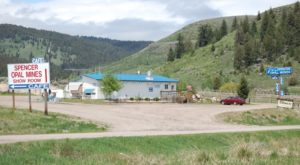 Just be sure to stop by the Visitor Center to grab your free (required) permit! You can find official directions to the monument on the NPS website. Like this? 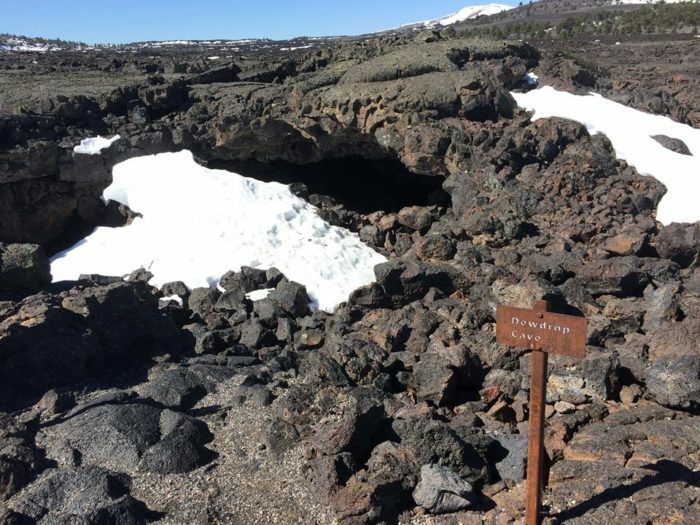 Craters of the Moon isn’t the only icy haven you can explore this summer! Check out Idaho’s biggest ice caves here.